30 paylines, FREE spins, multiplied wins and the biggest felines in Africa – what more could you want? Login and play Cats Slots today! Good luck! Cats Slots has 5 reels that are filled with furry felines, including cheetahs, tigers and lions, and has 30 paylines, which means loads of chances to win! 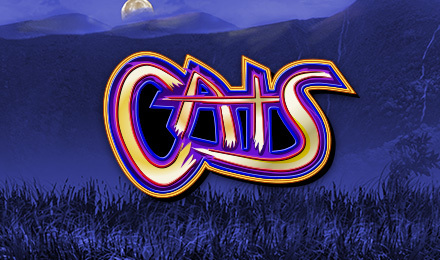 Some reels symbols to look out for are the Cats logo, which acts as your Wild and can help complete winning combinations, as well as the Paw Print, which is your Scatter, and can multiply your wins and trigger your FREE spins! Spin it to win it today!